oh my. wish me luck. well that's just adorable. good luck this summer! How fun! I wake my girls on their birthdays with a donut and a sparkly candle! I love stuff like that. Hahaha well on the bright side, Bee loves them, and they look cool in the pictures! Hooray summer! Happy Summering! I'm stoked about this summer. oh these siblings :) they are so adorable! The end of classes is such a cause for celebration! My oldest just finished third grade and my youngest kindergarten, good times. This was the post I did on their final performance. 1st time reader and love your blog! 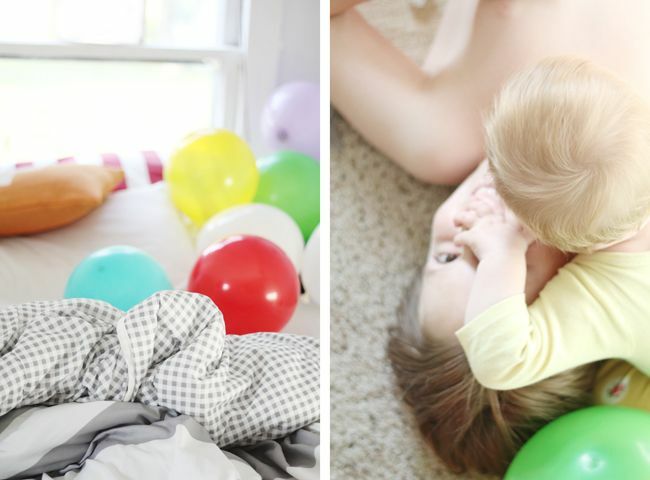 This is such a fun idea and the pictures are so cute! what a cute surprise! go mom! i'm going to go insane this summer, i think. I will admit to finding some respite in hearing of angsty 9 year olds. I have one too. (Well, he just turned 10.) It's like a pre-pre teen phase. katie, i am so happy to have stumbled upon your blog. your photos and words are nothing short of wonderful. thank you for sharing your heart with us. What a fun idea to celebrate summer break and a year of hard work! Too bad our house is already filled to the brim with balloons All. The. Time. My 1 year old and 2 year old have a thing for balloons. I could never get the surprise past my 8 year old. LOL. seriously the little boy in the first photo captured expression is priceless. 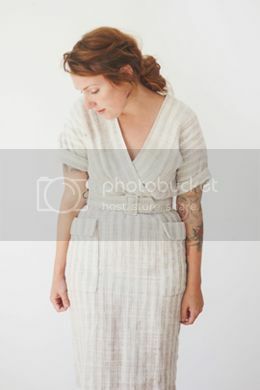 Well done Alt Summit for featuring your blog on their blog today! Your photos are beautiful- bright and natural with a touch of whimsical, just the way I like them. I'm a photographer myself and your work provides a breath of fresh air. I especially love the ones of little Phoebe! Happy summer vacation to Max! 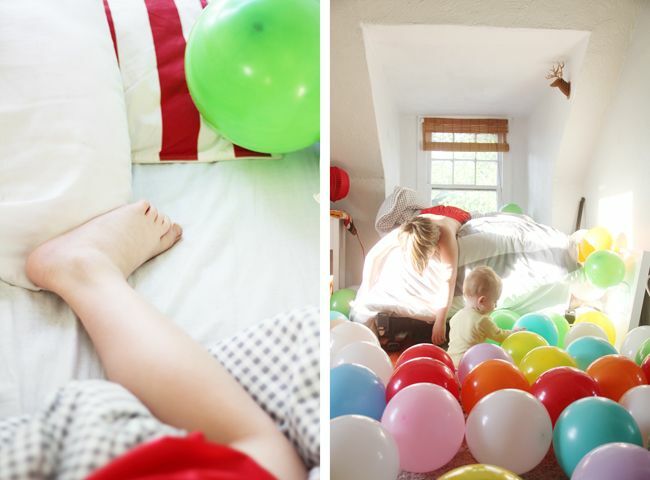 I'd have been super excited if I'd woken up in a room full of balloons! what an adorably cute idea. I love that you went to wo much trouble to do that for your son!! ps. beautiful blog, i love it! I love this idea. Nothing better than many many colorful balloon. It's such a cool idea to make a day special. Definetly have to do it. And I really love your photography style. Every picture is so so beautiful! what a brilliant idea! 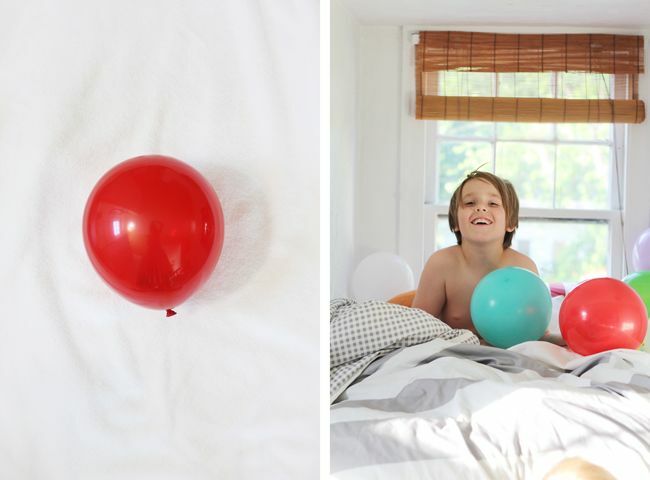 balloon bombing! 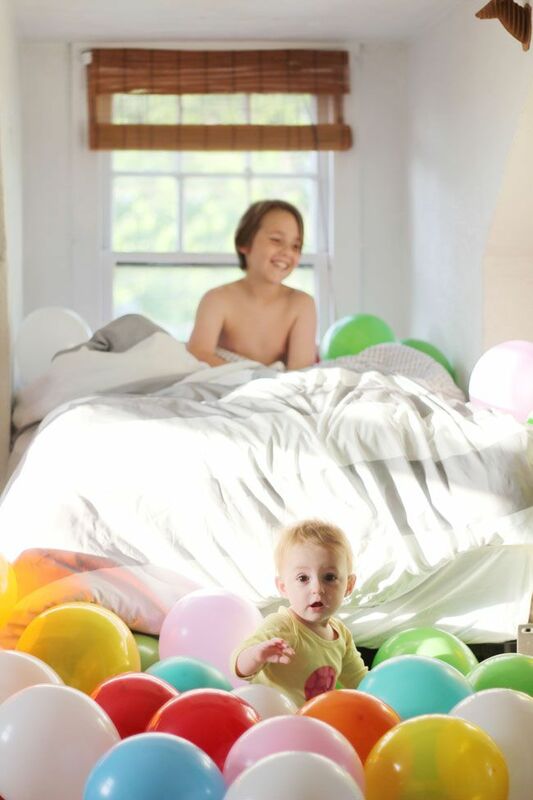 my boys share a room so i'd have to figure out a way to either contain the balloons on one side, giving new meaning to 'this side of the room is mine!' or figure out an occasion to do it for both of them. thank you for the inspiration!